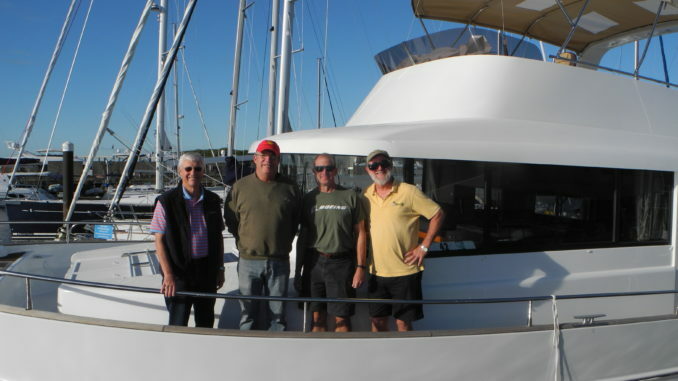 The Swift Trawler 50 is Beneteau’s latest design in the cruising boat world, with a Volvo IPS Pod Drive System. 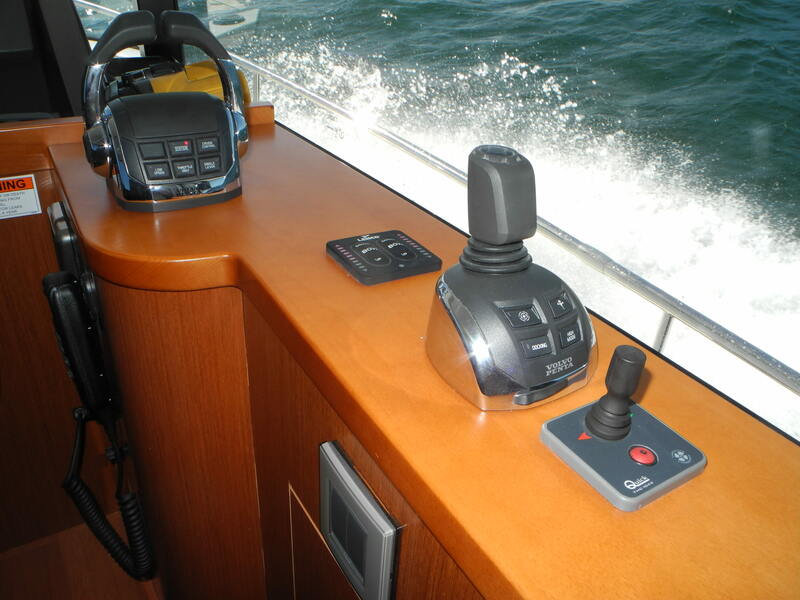 This innovative design offers the operator better maneuverability via Joy Stick Control assisted by bow thruster and trim tabs. 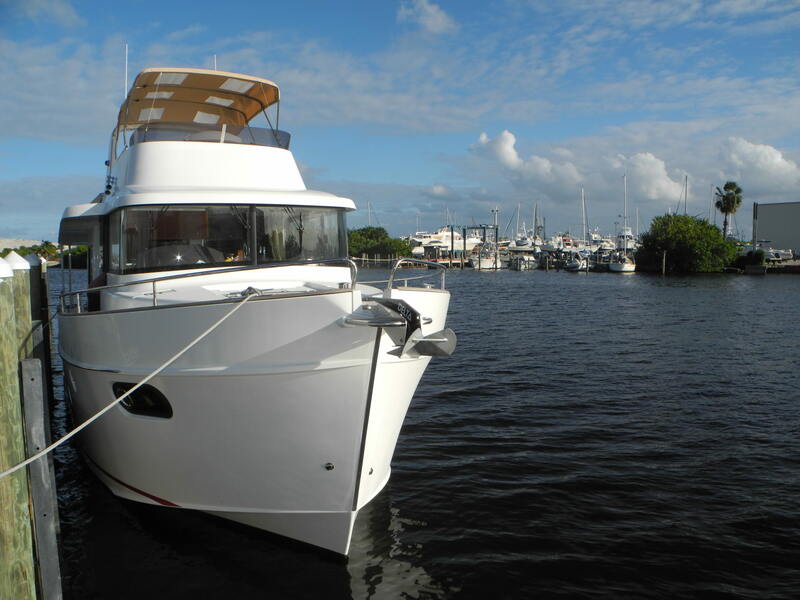 The task at hand was to deliver the boat from Charleston to FLIBS, the Fort Lauderdale International Boat Show. 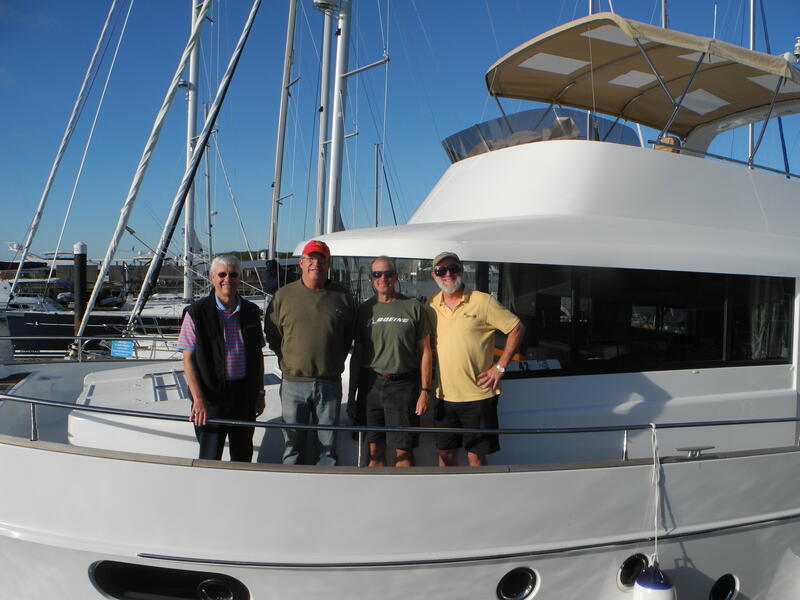 So we took this opportunity to introduce owner Brad to his new baby and had an excellent sea trial en route. Our trip started late in the morning casting off from the Charleston City Marina, passing historic Fort Sumter as we headed out to sea. Entering the Ship Channel we could feel the heavy rollers coming in from the Northeast. Because they were only rollers we continued on to Brunswick, GA. Unfortunately the seas increased becoming 8 to 12 foot rollers with an interesting 3 to 4 foot chop on top. This was a challenging weather condition but everything was right. 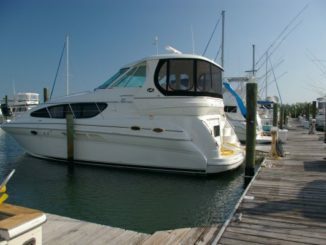 The boat handled great, our direction was perfect compared to the wave action and the speed worked well. This all was considering the waves were from our port quarter and would occasionally give us a push down into the gully but the boat perked up with each swell and kept on going. Another important factoid to remember is that the sun sets earlier in the fall than it does in the summer. 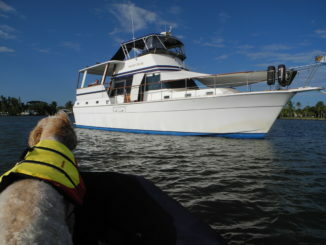 You guessed it- we arrived in Brunswick GA after dark and had to rely on our navigation skills including paper charts, GPS, RADAR, binoculars, range markers, channel buoys, three sets of eyes and common sense. Sorry we were too busy to shoot video on this channel entrance. PS, we arrived OK and just in time for dinner. After fueling early the next morning we cast off trying to get as far as possible. Again, the seas were up so the best we could do was Ponce Inlet just south of Daytona Beach. This inlet I have on video BUT the sunset is in our eyes so pay attention, watch the entire video, shield your eyes and hunt for the channel markers. Not so easy to do so you might want to plan your arrival before sunset. 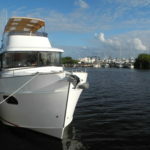 Two days to go until we reach Fort Lauderdale so we round Cape Canaveral and enter Fort Pierce Inlet before sunset. This time according to plans, we can see where we are going. Day 4 and we parallel the coastline in a rough but manageable ocean past Palm Beach and Lake Worth Inlet on to Port Everglades and Fort Lauderdale. 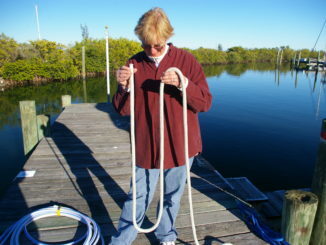 This is our earliest day so we can take the time to clean the salt off the boat. 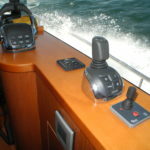 The ST50 with IPS Pod Drives handles very well at cruising speed in the open ocean. One perk of the rough weather is that we were able to show Brad the capabilities of his new boat in true heavy seas. 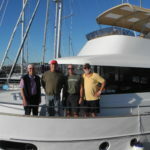 Docking each night offered him practice with me at his side and the mate expertise of Chuck Laughlin, owner of St. Bart’s Yachts. It’s not often that your broker serves in such a distinguished role that allows you hands-on learning. If you want to learn more about Pod Drives just call me 772-205-1859 or email me with your questions or join us at one of our upcoming seminars in 2016.